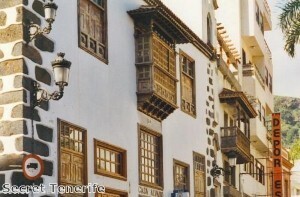 The Spanish Canary Islands can give Brits the opportunity to catch some winter sun, it has been noted. According to the Spanish Tourist Office, Brits are heading to islands such as Tenerife, Lanzarote and Gran Canaria in hope of escaping the cold UK winter and getting some sun. Tenerife is the most popular island for Brits, with more than 45 per cent of UK holidaymakers choosing a trip to the Canaries heading for the island. Before jetting off to Tenerife or any other Canary island, Brits may want to get a holiday insurance policy that covers them for any activities they may want to take part in on the trip - such as water skiing at the destination's many beaches. But those after a relaxing break could also find the Canaries ideal and promotions executive from the Spanish Tourist Office Paco Gutierrez noted that the islands boast many spa and treatment centres, as well as golf and shopping.